I had a couple of absolutely massive mailboxes this week that really carried my sales. I’ve sold a couple of VERY high end BoEs for a lot of gold this week! My sales were absolutely through the roof. 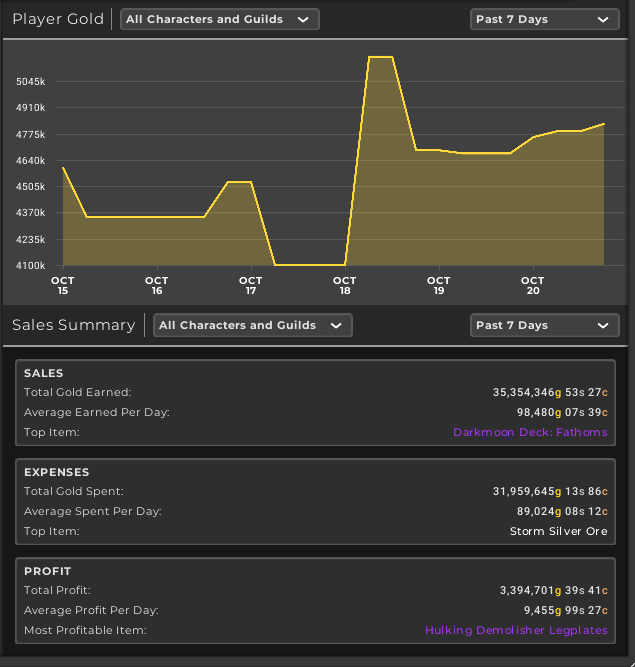 This was my second biggest week ever in terms of total sales, clocking in at just over 2.5 million gold in sales. I spent 2.1 million for a net gain in gold of 430k. I also managed to increase my AH value by 1.8 million, so this week has been absolutely amazing in every way. The main market that has driven both sales and purchases is BoE flipping. 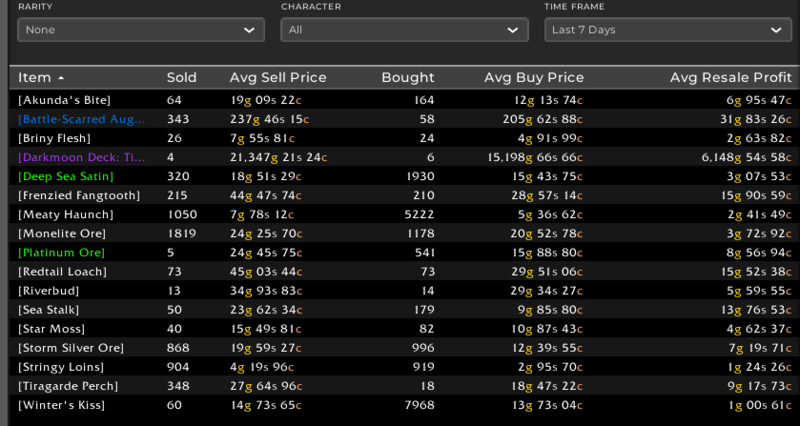 I sold some very expensive ones this week, and I’ve been spending a lot of gold in this market, and it looks like it’s starting to really pay off. I also started up sniping again, but no massive ones to talk about. I mostly just got a bunch of materials for flipping, which is great, but not game breaking. I’ll be looking to buy up even more BoEs in the next week, my stockpile is looking quite good right now, and hopefully I get some more sales next week! The biggest BoE sale was just before I started writing and the 7 day graph hasn’t updated to reflect it sadly. My gold total should be about 750k higher! My BoE sales were through the roof this week. I sold some extremely high value items, with the highlight being the 390 Bloody Experimenter’s wraps with a socket. I bought those for 460k, so that’s almost 300k profit just for that item! I’ve been buying a lot more BoEs as well, so it will be interesting to follow my sales going forwards. 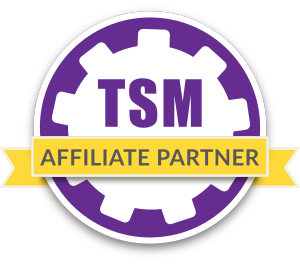 I have not been crafting too many darkmoon decks, so the sales have slowed down here a bit. I still have a ton of linen to process, so I will have to get back to work here! 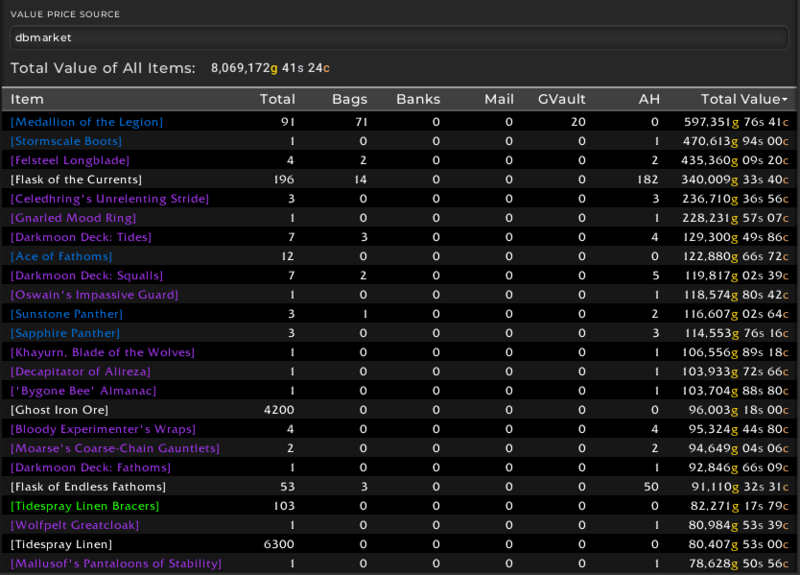 Material flipping, enchanting and honorable combatant gear is working as usual, with varying profit margins. I am still trying to find a good setup for augment rune flipping, and so far I think my setup looks like it will barely break even. Flask flipping is also still on the experimental stage, but my new settings have increased my sales considerably at least! In terms of flipping materials you can see my summary below. I’m still focused on herbs, fish and meat. It’s been hard finding stringy loins lately though, so my total sales are way down on those. My flask inventory is slowly going down, and my BoE inventory is slowly increasing. 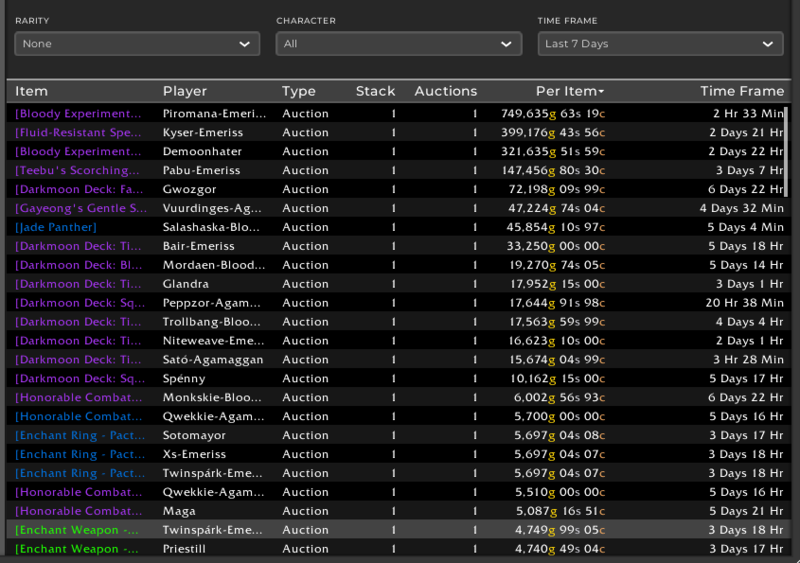 This is looking more like how I want my inventory to look as BoEs are generally by far the highest value market. I’ve also managed to process a decent amount of my tidespray so I’ve got some darkmoon decks showing up. I don’t like that only two of the four panthers show up though, I will definitely have to restock the jade and ruby panthers ASAP, as I think I might be out of those. 2 Year Anniversary of the blog! Would you recommend just focusing on material flipping until you can get the capital to start investing in BOEs? Right now the only items I can get to sell is ores blood stained bones and meat. Im on Kaelthas and I keep getting undercut constantly for almost everything else I list.. This week was a bit slow. I only made it from 130k to 161k. Part of it was probably that I never really got set up for flipping, part of that was for some purchases for long-term investments.. However in some good news, I finally unlocked the level 3 tavern, and now three of my garrisons are starting to hum. My current objective is to get to revered on Vol’jin’s headhunters so I can get plenty of oil on my shipyards and level my demon hunter to a hundred so I have a fourth garrison running. I also plan to thoroughly read your material flipping guide and get it set up. This month, I will probably pay my subscription with cash, but I anticipate that by the end of next month, I’ll have enough to buy expansion AND pay subscription. Why so much focus on garrisons? Is there something I’m missing? 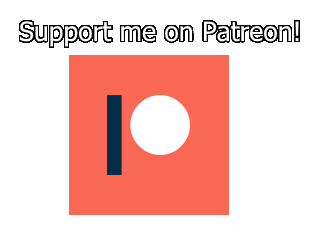 Not sure if I want to put a link on the site, but look up passive gold in the guides on this site and it will explain why.